Simplified back-office operations create a more efficient staff, happier account holders, increased interest from prospects, and revenue growth. Are the right data tools in place to maximize operations? What processes could be automated for greater efficiency? Is my operation agile enough to bring new digital products and services to account holders? Read Five Operational Imperatives to Fuel FI Growth to determine how your back-office operation stacks up, and how to become even more effective. Just fill out the form to receive the guide! Q2 Holdings, Inc. (Q2) is a leading provider of digital banking solutions, headquartered in Austin, Texas. Driven by a mission to build stronger communities by strengthening their financial institutions, we provide clients with the industry’s most comprehensive and adaptable digital banking platform—as well as access to open fintech, development tools, and actionable, data-driven insights to boost account holder retention and create growth. To learn more about Q2, visit Q2ebanking.com. 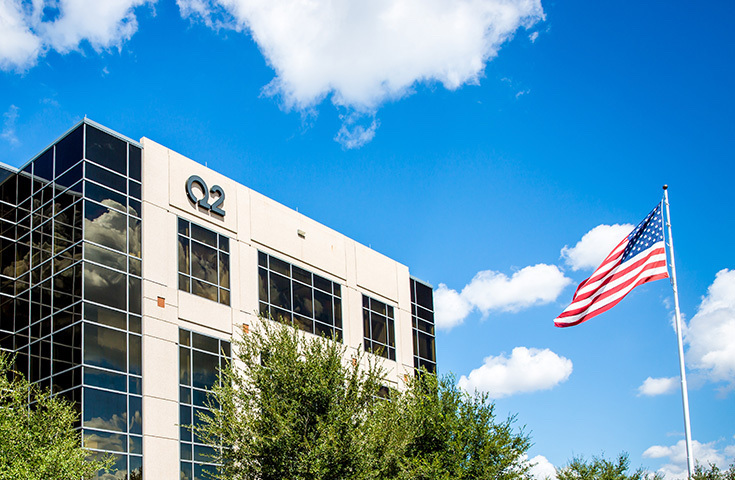 Speak to a Q2 representative today. Q2 looks forward to speaking with you about your digital banking needs, and how we can help. We just need a bit of information from you to get started.